There are many ways to improve your home. One of them is a fireplace remodel. 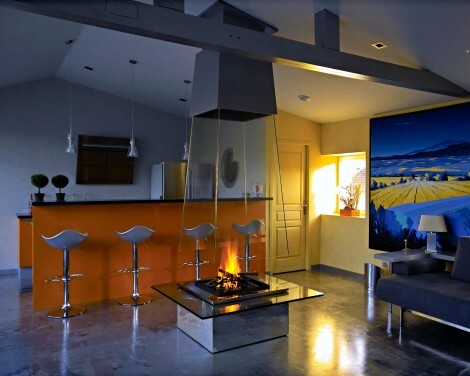 The fireplace is one of the coziest, visible, and practical areas of your home. 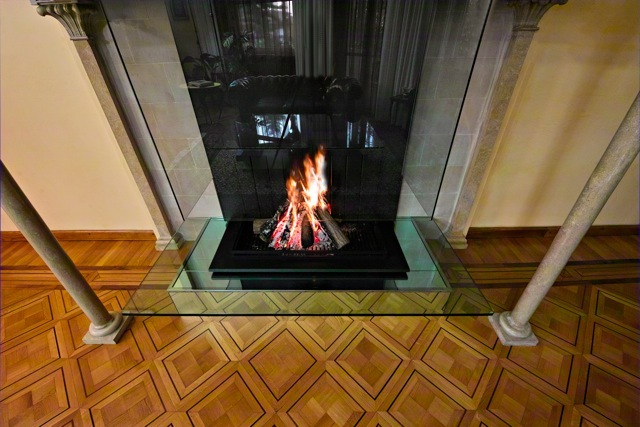 There is also more than one-way to remodel a fireplace, and by considering the current condition of your fireplace and its use, you will be able to determine whether it needs renovation or replacement. A fireplace remodel can mean many things. Replacing or upgrading your fireplace surrounds, a new or improved fireplace mantel, replacing the entire fireplace or creating a whole new fireplace keeping the old untouched! This is exactly what was done in this beautiful Italian palace near Milano. 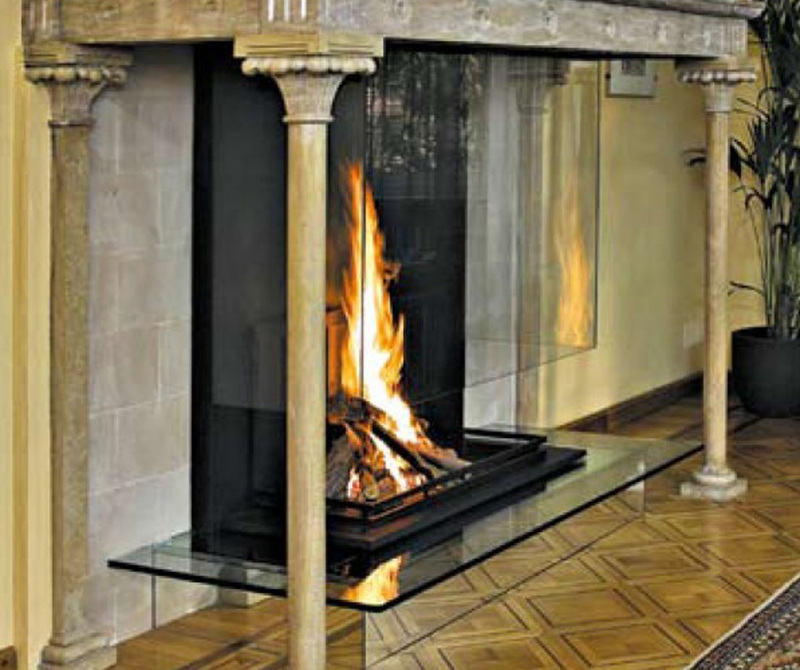 In order to keep this majestic fireplace intact, we added a contemporary touch by designing wood fireplace made of a transparent glass hood, a mirror covered base covered with a glass plateau and a black steel fire surround. This fireplace could not be used prior to its renovation due to smoke coming inside, likely because of its large size and to flue size. 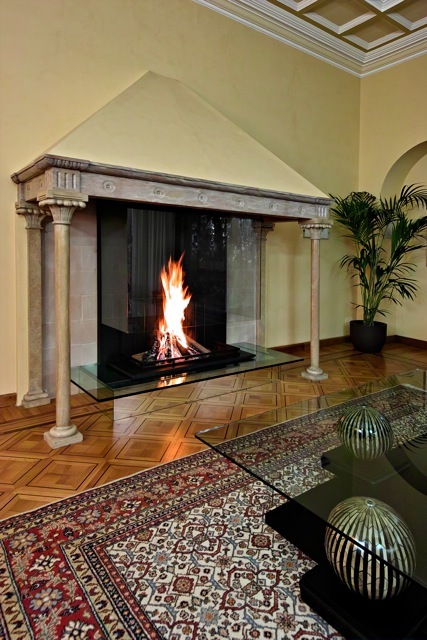 However, since its new addition, the fireplace is been used every other day and functions very nicely, safely and efficiently, providing a great ambiance.